Working in digital marketing for a living often results in the best and brightest marketers adopting a Wild West approach to their careers. There are plenty of reasons for this, especially considering how highly competitive the world of digital marketing has always been and continues to be. That's why all too many digital marketers overlook the advantages of partnering with other professionals from either the digital marketing industry or in adjacent ones. Such strategic partnerships can help grow your marketing reach far beyond what you could have accomplished just on your own. Wild West or not, even the Lone Ranger had Tanto by his side. 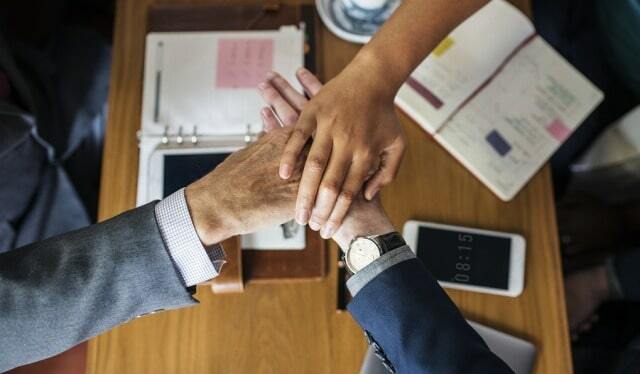 Strategic partnerships can often pave the way to play to your strengths as a marketer, especially when forging relationships with companies that have complementary capabilities. Being able to provide targeted digital marketing services for a digital design studio looking for expert help in marketing their existing business, for example, can help build positive networking relationships that pay dividends in the future. Performing contract work for other businesses does more than just affect your bottom line, though this is, of course, the clearest and most direct benefit. Working closely in partnership with another business provides opportunities to build a long-term relationship that can result in a long-term revenue stream in the form of high-value repeat business. Companies that know you'll provide reliable, effective results are unlikely to seek what they need elsewhere; they're also unlikely to balk at paying higher rates for higher-quality work. Additionally, inculcating these positive partnerships opens the door for networking-based business growth as well. Businesses will gladly sing your praises to anyone who will listen, and this can result in referral work in the future. None of this would be possible without the extended partnership that you've worked so hard to create over a period of weeks, months, or even years in some cases. Strategic partnerships are as much about playing to your strengths as they are about protecting yourself from your vulnerabilities. In instances where you know your own skill sets are lacking, seeking out a strategic partnership that shores up those vulnerable areas can drive growth, often in cost-effective ways. Consider a situation where you want to grow your business to encompass new subsets of digital marketing such as content marketing. If you have little to no experience with content marketing, you'll lack the expertise for creating effective content. While it's true you could learn content marketing yourself, the time and resources you would need to invest in your own training is simply a non-starter, especially when you already have so many day-to-day responsibilities running your existing business. However, this is where entering into a strategic partnership can resolve these problems without necessitating a massive resource investment. Partnering with a content creation company with years of experience in providing content marketing materials provides you the capabilities to compete in an additional market, one that you couldn't access before, and without derailing your ability to work your existing business. The time and resource savings alone mean that the ROI on your partnership is already poised to be substantial. It's quite clear at this point how beneficial strategic partnerships can be when it comes to growing your marketing business. At the same time, however, we would be remiss if we didn't touch on a few of the possible drawbacks. There are some red flags to look out for when it comes to finding the right types of businesses to partner with, and to that end it's important to carefully vet and consider each business before getting into bed with them. Providing marketing services on an ongoing or exclusive basis for a specific company means becoming associated with that company's own reputation. Be sure that any products or services that business provides to the public are in line with your own company culture before entering into any long-term partnerships. Additionally, be aware that any negative public relations issues that crop up with a partner could also reflect poorly on your own reputation. You can always distance yourself from a former partner if their behavior comes to threaten your own ability to work as a digital marketer. However, be aware that sometimes businesses are subject to false claims. Standing in solidarity with a partner who you feel has done nothing wrong or who has been accused unfairly can showcase your own company's dedication and loyalty, and that can provide you with opportunities to showcase those positive qualities to the public. In a business landscape that all too often rewards cutthroat competition, going against the grain and embracing the spirit of collaboration can help differentiate your company from a very crowded playing field. Engaging in strategic partnerships that help grow your own business while supporting others is often the most effective way of standing out in ways that generate positive interest in your company and its capabilities. Businesses want to work with digital marketers that do more than just get the job done. Forging long-lasting relationships build trust and interdependence over time; a business that knows it can simply turn to you as its long-standing partner to provide your digital marketing expertise means you'll always have opportunities to not just earn a living but to thrive. Choose your partners carefully. Make sure you have something they need and that their capabilities shore up any possible needs of your own. Ensure that your company cultures run in parallel and be prepared to stand behind them in all but the most egregious situations. Following these simple guidelines can unlock massive opportunities for you to grow your own digital marketing brand as a result. I hope you enjoyed this blog post about how to grow your marketing reach through strategic partnerships. Interested in more articles about strategic partnerships?